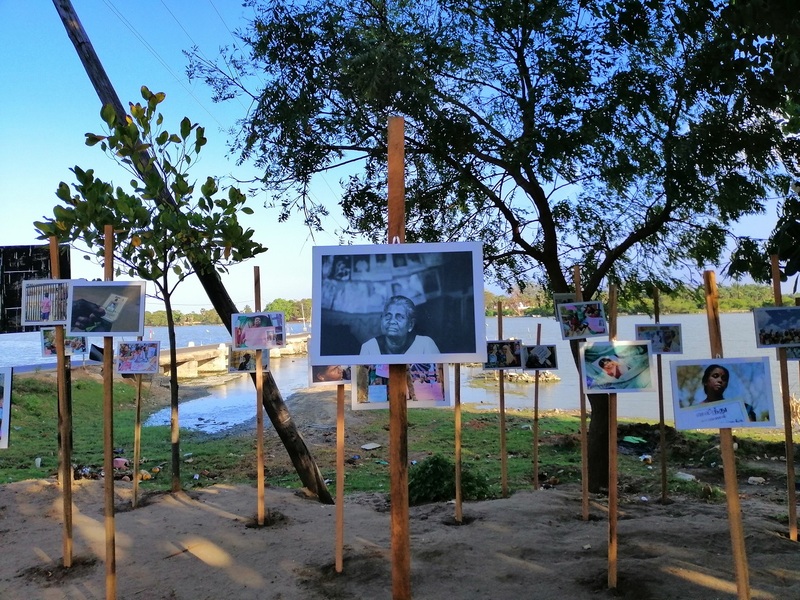 A photography exhibition depicting the struggle of Tamil families of the disappeared to find their loved ones was showcased at Vadduvakal Bridge this week, a site where many of their families handed over their loved ones to the Sri Lankan military almost a decade ago. 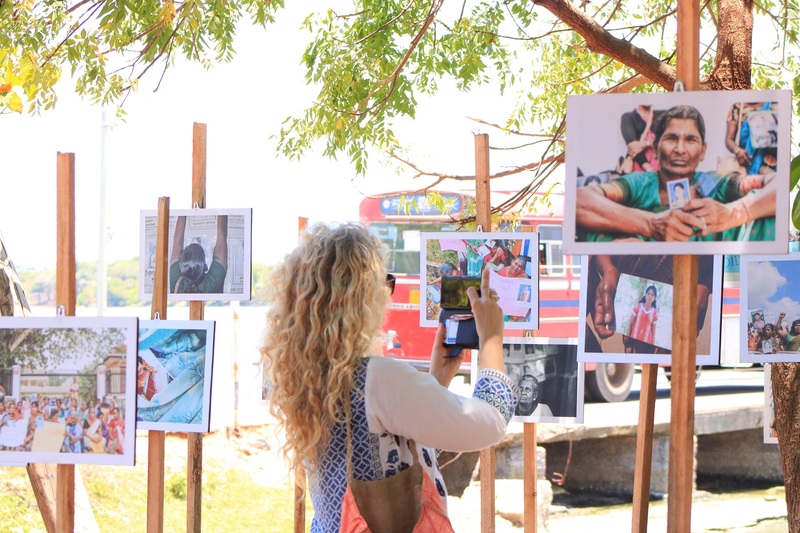 The exhibition, entitled "Album of Persecution: Justice- Despair- Tears", took place at the bridge on Sunday, just metres from Sri Lanka’s ‘Gotabhaya’ navy camp where soldiers continue to be stationed. 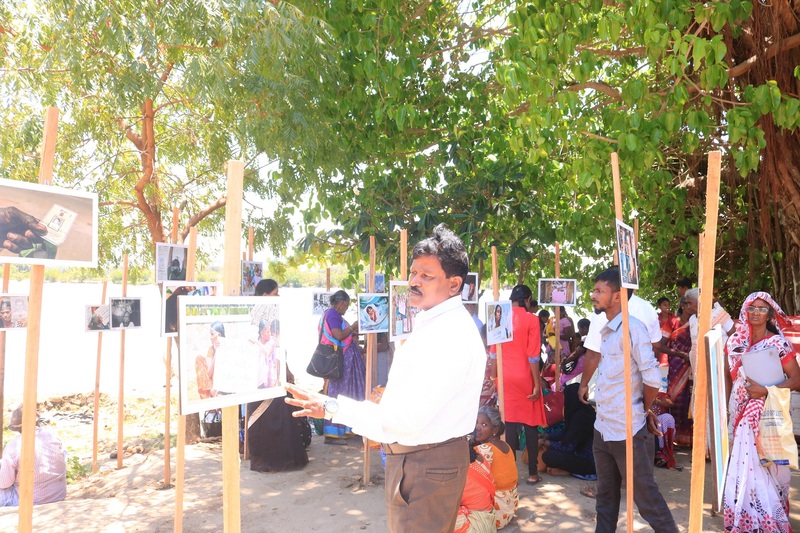 Photographs by prominent Mullativu based journalist and Tamil Guardian correspondent K Kumanan were displayed at the exhibition, in the hope of raising awareness and bringing more attention to the issue of enforced disappearances. The photographs show Tamil women on the roadsides, protesting and demanding answers to the whereabouts of their loved ones. “The exhibition is a small attempt to shake the conscience of the world that didn't answer to the question – “Where are those whom we handed over to the military?””, said Kumanan. 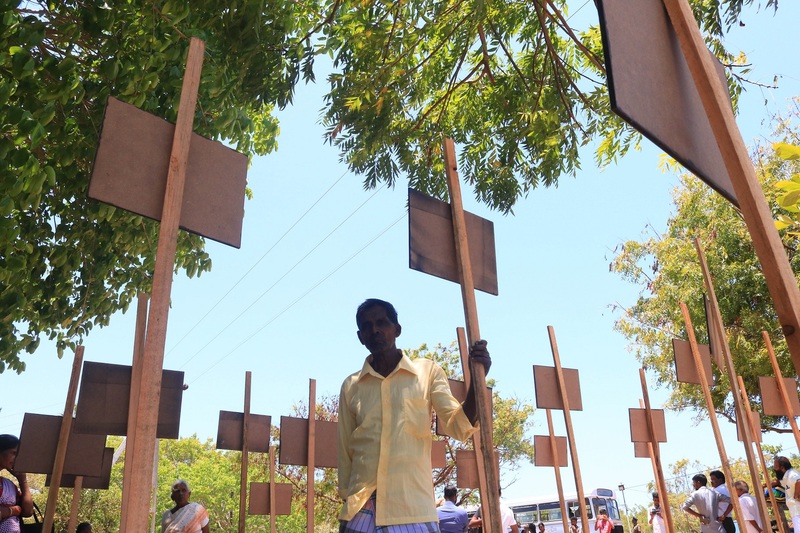 The Human Rights Data Analysis Group and the International Truth and Justice Project carried out a study in December 2018, which estimated that over 500 Tamils were forcibly disappeared in just three days, after surrendering to the Sri Lankan army in May 2009 in the area around Vadduvakal Bridge.